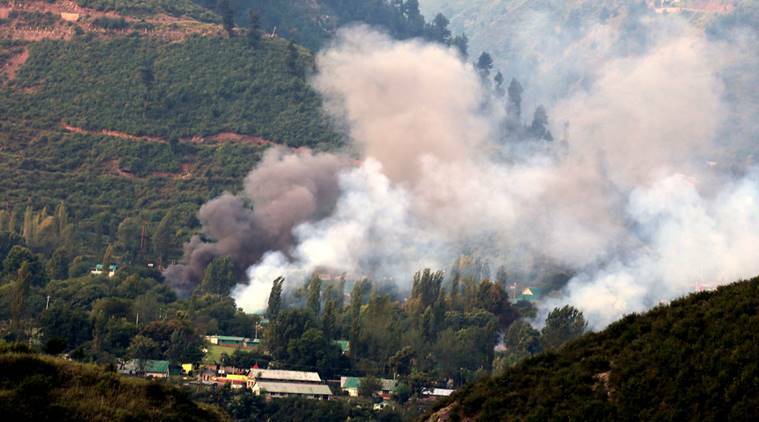 A terrorist attack in the Army Headquarters in Uri located in Baramula district situated near the LOC claimed the lives of 17 soldiers today. Although all four perpetrators of the attack have been killed by the army counter fire. The loss of 17 soldiers came as big shock to the nation with the Union Defence minister immediately leave for Jammu and Kashmir to assess the situation there. The army quickly took over the situation as soon as the attack took place. The attack even prompted Union Home Minister Rajnath Singh to cancel his 5 day diplomatic visit to Russia. Home minister Rajnath Singh tweeted that he is observing the entire situation in Uri and wrote on his twitter wall that he has cancelled his Russia and America visit. In his second tweet, he said he has instructed the home secretary and other officials to keep a close eye on the situation. He also tweeted that that has talked with the governor and CM of Jammu and Kashmir who have enlightened him on the situation. It must be noted that this is the second time Home minister Rajnath Singh had to cancel his US visit due to violence in Kashmir. He was scheduled to embark on a 7 day visit to the USA from 17th of July, 2016 but had to cancel the visit due to violence that erupted after notorious terrorist Burhan Vani was killed by security forces in a counter terror operation.